The GE MWF 2-pack comparable refrigerator water filter by Tier1 has a new design and fits the 197D6321P001 and similar models reducing up to 99% of impurities common in drinking water, before they reach your glass. For up to six months after installation, this filter will ensure you serve only the crispest, cleanest and coolest tasting drinking water. Better yet, by ordering the Tier1, you will also pay only the best looking price! 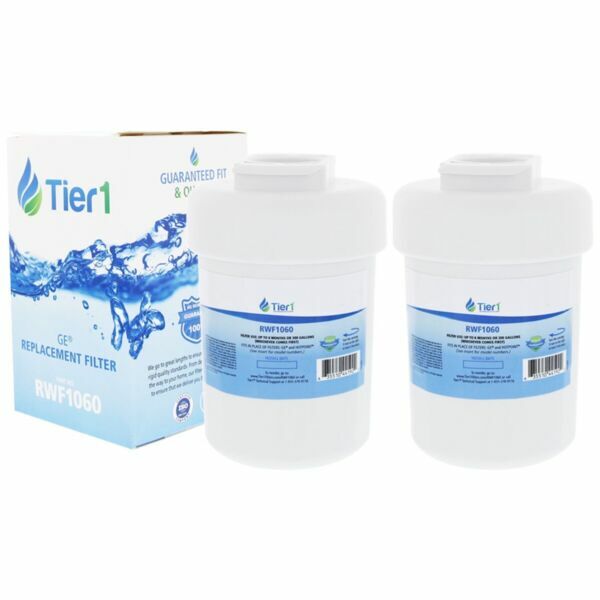 Order this comparable replacement for the GE MWF refrigerator water filter, from Tier1, today. 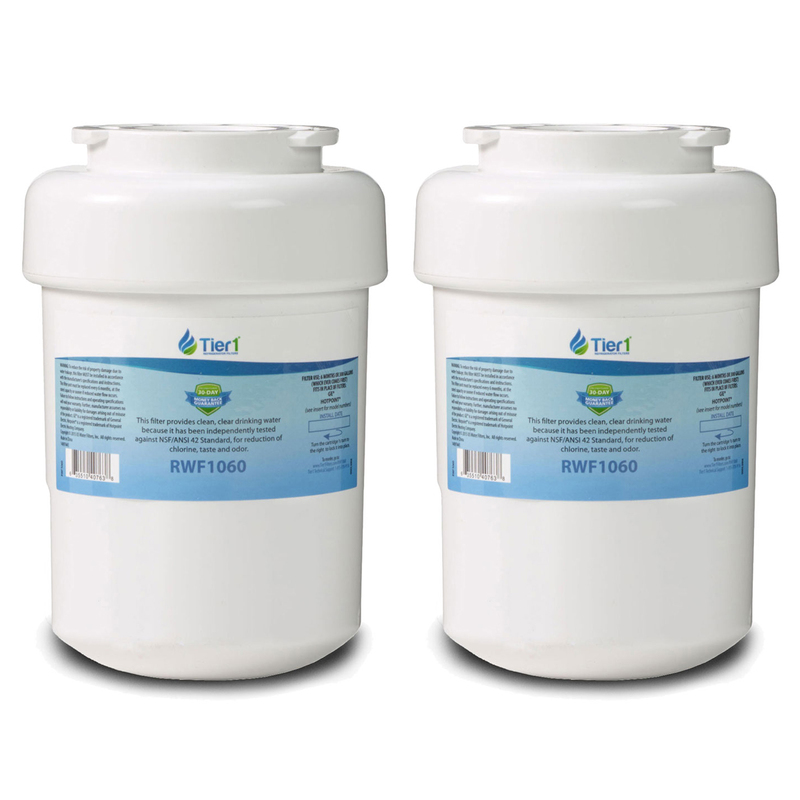 Reduces up to 99% of the most common water impurities. For shipments to Minnesota addresses, we are required by State law to collect 6.875% Sales Tax. We offer FREE Standard Shipping on every item that we sell on eBay and ships within the 48 states. You're guaranteed to find expert help! If you're not satisfied with an item you've purchased from us, for any reason, we're happy to take it back - within our 30 day return policy. 1. Please contact us toll free at 800-277-3458 and we will issue you a Return Authorization. 2. We will then send you a free prepaid return label for you to use to return your original order. 3. Once we receive and process the return of your original order, we will refund your credit card or PayPal account. 4. If you need assistance placing your new order please let us know how we can help!